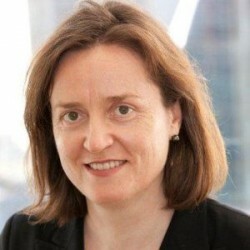 Inez Murray is CEO at the Global Banking Alliance (GBA) for Women. She previously served the GBA as Vice Chair of the board and was Executive Vice President at Women’s World Banking. Globally recognized as an expert in women’s economic empowerment, she speaks and publishes widely on the topic. Inez was a co-founder of WAM (Women Advancing Microfinance), the only global network of women professionals in microfinance, and currently serves on the board of B2D, a social enterprise focused on biomass energy technology to rural and semi-urban populations in Haiti.